The lovely Trish Moon spoke to Jeff Lee of the Vancouver Sun. Still, he managed to interview some condors too. Alas. Somehow Jeff Lee found someone who is thinking about renouncing because of Donald Trump and thus blames him in part for the spike in renunciations. As the U.S. election draws near and the prospect of a Donald Trump presidency rises, more dual U.S.-Canadians are considering renouncing their U.S. citizenship. Have they never heard of Barack Obama? How, after eight years of expats being forced to eat his crap, is he still able still to deflect the blame? Before it was W’s fault. Now it is Trump’s. The journalists all think that mentioning Trump as a reason for renouncing will sell papers. Nevermind that the big spike in renunciations pre-dates any notion that Trump might even run for President. My experience last week was that Trump was the one thing they would NOT remove from the article, no matter how much I tried to downplay it. Oh well, if that’s what we have to put up with to get our issue out in the public view, I suppose I can live with it. Nice: link to The Isaac Brock Society, and mention of the ADCS lawsuit. The article starts with the default position of every such article: information from the compliance industry. To me that is like interviewing Tony Soprano to learn about the mafia. It would good journalism, provided you did not portray Soprano as a legitimate business man. Nobody has yet renounced US citizenship because of Trump. But, 10′s of thousands of Americans living abroad have already renounced due to CBT and FATCA, with many more in the process of doing the same. AMEN TRISH, you are the adult in the room. The other actors are political puppets for or Manchurian candidate who has so far bot gotten off the strings the pupprtiers are using to convert a capitalist country into a socialist dictatorship where anyone can run as long as they are from ”The Party: just like the begining in 1917 of the soviet empire. Four, maybe eight years of Trump vs a lifetime of double taxation? Better to stay in the US and think you’re free to leave anytime. the U.S.’s heavy-handed attitude is driving a “tax compliance industry” that preys on the fears of Canadian-resident U.S. citizens who believe the only way out is to pay exorbitant fees. It is always hard to remember what one said after an hour of conversing; particularly about this topic which I can become pretty hot-headed about. I had intended to say that the tax compliance community actually ends up establishing the law……but am happy the sentiment of “preying on the fear of” conveys our state of mind well. I may have been unclear about some attitudes which I tried to demonstrate in later comments to the article. There are some really good comments on that article which, if people take the time to read them, pretty much iron out the wrinkles of Donald Trump (pure “clickbait” to attract attention) and compliance condor messaging designed to reel in more clients. I liked that John Boston clearly pointed out that a Clinton presidency would be worse for Americans who dared to leave the homeland than a Trump presidency. Great that we got some media attention here. Too bad the tax condors always seem to make their presence known. In some cases, it’s quite possible to renounce and file forms without them with much less cost. As Tricia says below, we (ADCS) are in Constitutional-Charter litigation with the Government of Canada over its decision to hunt down and turn over Canadian citizens to the U.S. IRS and also plan to mount a lawsuit (ADCT) against citizenship-based taxation in the U.S.
Why should Canadians[*] care about Canadians[**] renouncing foreign citizenships? Don’t even worry if the door hits them on the way in, although they’re already in. It ought to be Americans who should care. But they didn’t care about articles in the Wall Street Journal and Forbes, so why should they care about the Vancouver Sun? Norman, they care if they are Canadians affected by this. We’re so lucky to have you working to counteract the media coverage that the compliance industrial complex manipulates to create ‘infomercials’ to drum up business -like those ‘free’ seminars by US tax lawyers exported to Canada. The media is apparently not interested in undertaking any analysis or research of its own. The way in which some US tax law firms are trolling for clients in Canada (and Australia) makes me nauseous. Thank you for all the effort, time and energy you continue to pour into this. Ditto to what Badger just said so well! Thank you for being there for us yet again, Tricia! Everything they credited to you was spot on! Good for you! She also believes the best option for those who have not yet come on to the U.S. radar is to wait things out. She argues that the laws are ever-changing and that people should avoid the stress of trying to comply with something that in her view may be irrelevant in future years. 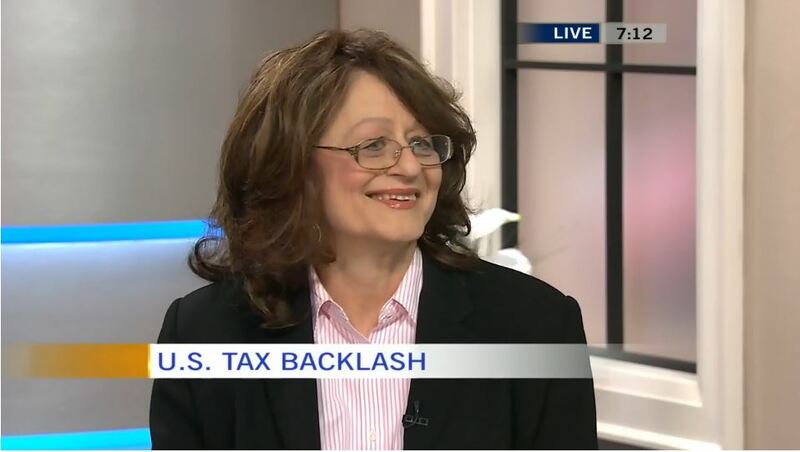 “I don’t believe the IRS will want to spend money and time going after average dual Canadians who would not owe any money to Uncle Sam anyway,” she said. This is EXACTLY what my DH and I are doing because we don’t owe any taxes and can’t afford to renounce. Glad that you are recommending this to people who don’t owe taxes and as yet, are not in the IRS crosshairs! The IRS is doing it for penalties. They still even attack my wife, a non-resident alien of the US who never had any US income or citizenship or residence or employment or business or any such thing, who never owed any US income tax[*], whose only mistake was telling the truth on joint US tax forms with me. They know she owes no US tax[*], but they allege she owes penalties. I voted Obama, will not vote Trump, do not believe Obama is a marxist, nor a muslim. In fact rather like the guy. Nevertheless it is quite obvious that Obama and the Democrats are uniquely responsible for the FATCA mess and the consequent spike in renunciations, which I may soon have to join. Trump has nothing to do with this. Also: neither Trump nor Clinton will do anything to help us. Leave it to the media to link renunciations with Donald Trump. Renunciations hit an all time high under the current administration. The rise in renunciations rest squarely on the shoulders of the current admin. I’m convinced that the majority of “US persons” out there are still completely oblivious to the issue, and completely clueless as to who is responsible. I don’t know many US persons in my area of New Zealand, but none that I have spoken with have ever heard of FATCA, FBAR, or even the requirement to file US taxes. I actually am not even mentioning it anymore, as if they have managed to ‘stay under the radar’ so much the better for their peace of mind.